wharfs, CBD, office blocks, skyscrappers and container wharfs. 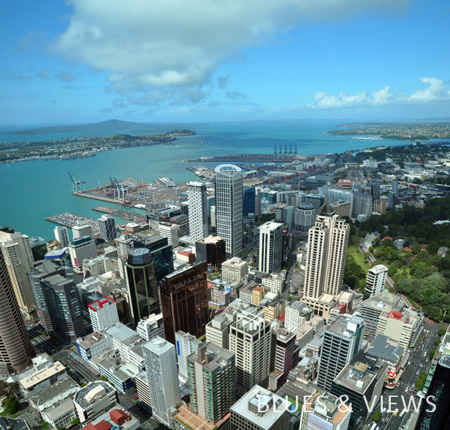 distance are the Waitemata Harbour and Rangitoto Island. Payment: Click button at right to pay by Paypal or Credit Card. When payment is completed click on Return To Blues and Views link to download image. from the top of Mount Eden. from the top of Mount Victoria in the suburb of Devonport. 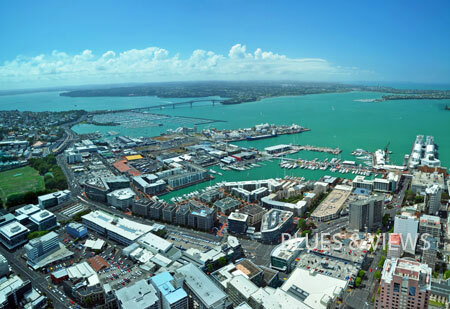 from the top of the Auckland Sky Tower. Beach. In the background are Motueka, Tasman Bay and Nelson. Description: Lake Wanaka in Central Otago on a perfect Spring day. Description: Lyttleton Harbour and the Port Hills of Christchurch. 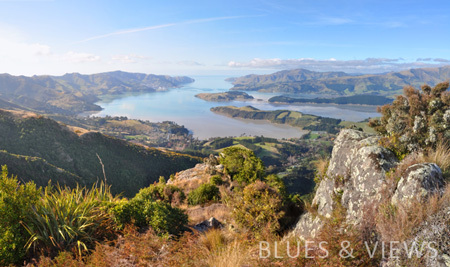 Lyttleton, Diamond Harbour and Charteris Bay. Description: Lyttleton Town and Harbour and the Port Hills of Christchurch. In the foreground is the Township and Port of Lyttleton and in the background is Lyttleton Harbour, Diamond Harbour and Charteris Bay. Description: Mount Cook - the highest mountain in New Zealand. 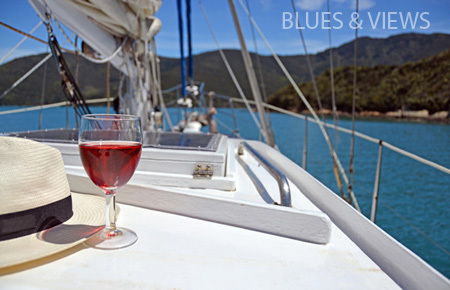 Rose and a Panama Hat. 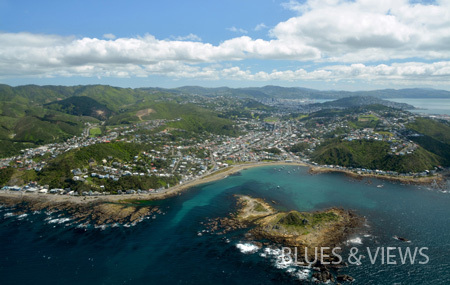 Description: Aerial View of New Zealand's Capitol city, Wellington from Lyall Bay. Akaroa Harbour at first light from Port Hills. 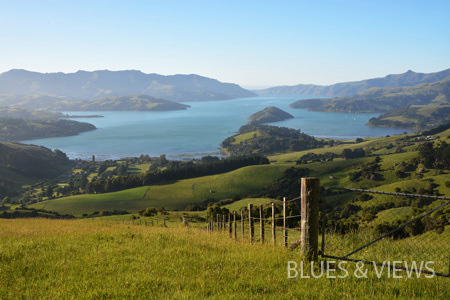 Description: Landscape view of Akaroa township, harbour and Port Hills early on a Summer morning. Autumn Colours of the Canterbury High Country. Description: Autumn Colours of the Canterbury High Country at Broken River. Web templates, greeting cards or postcards especially designed for sale, similar print-on-demand services, canvas, t-shirts, mugs, calendars, postcards, mouse pads or any other items incorporating the image in an essential manner, intended to be sold are considered redistribution (if the image is used in an essential manner). The use of our images for these purposes under the Royalty Free license is not permitted. It is also forbidden to make the image available on a website for download (as wallpapers for example), although you may use the image in a concept in as many websites as you want, for any number of clients. If you use the images for printed materials, the number of copies must not exceed 500,000. You may modify the images in any way required for reproduction, or include them in your own personal creations. Buying the high-resolution image (purchasing the license) does not transfer the copyright. You may not claim that the image is your own and you may not sell, license for use, or in any way distribute the image for reuse.